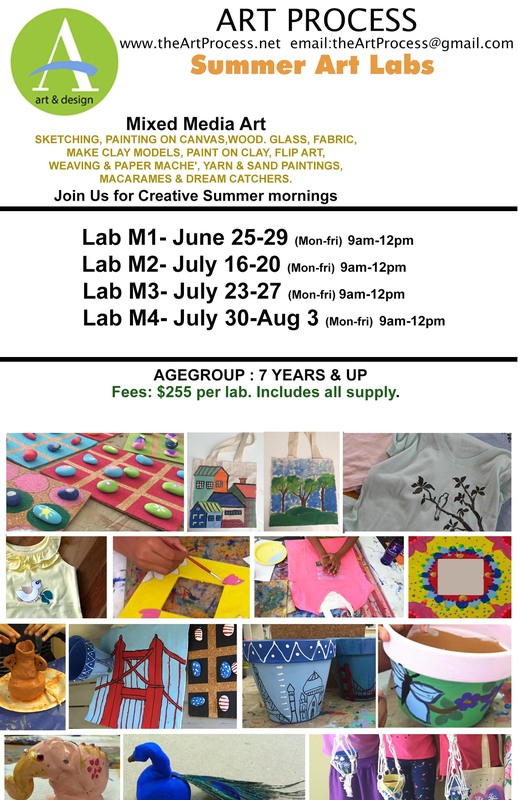 Creative Summer mornings! 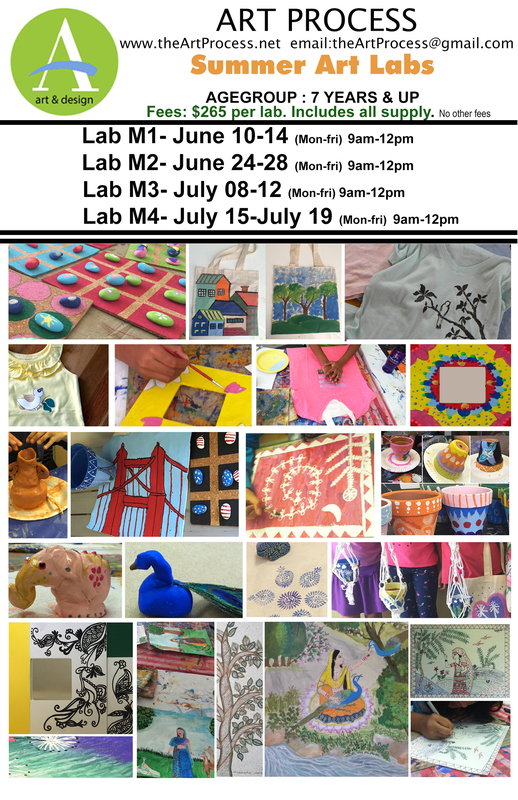 Popular Art Summer Labs. 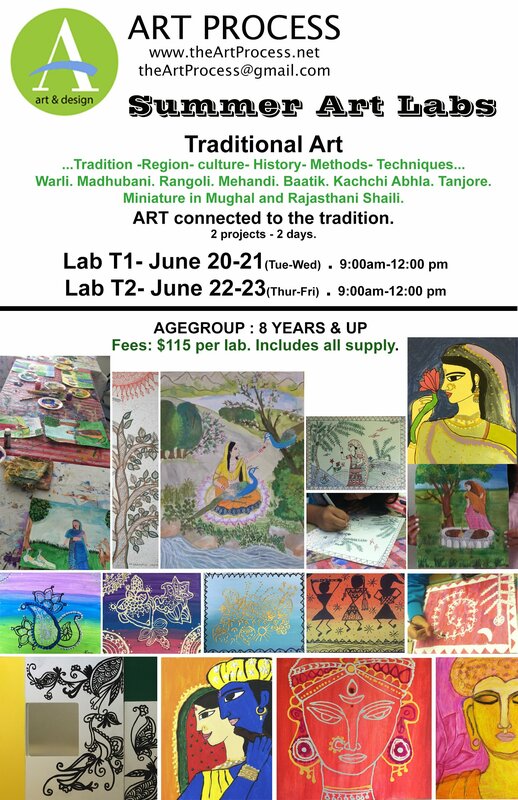 Mixed media art: sketching, painting on canvas,wood. 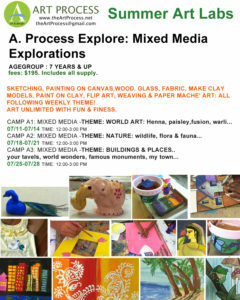 Glass, fabric, make clay models, paint on clay, flip art, weaving & paper mache’, yarn & sand paintings, macarames & dream catchers. 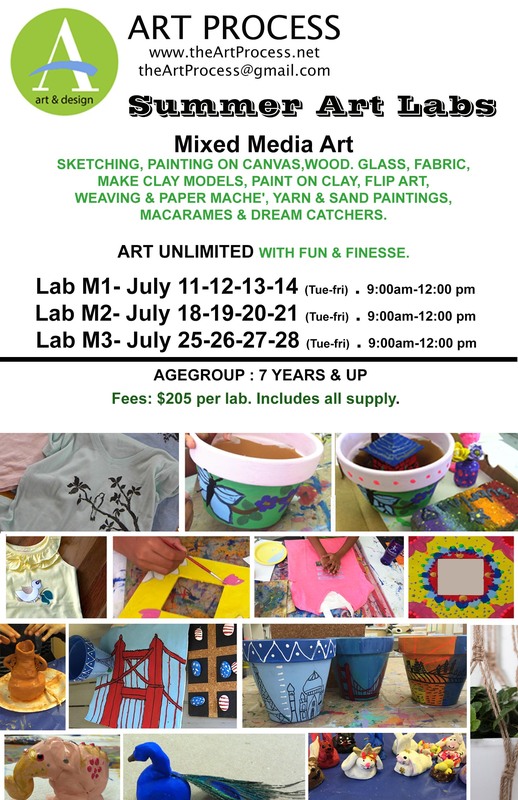 Art unlimited with fun & finesse. 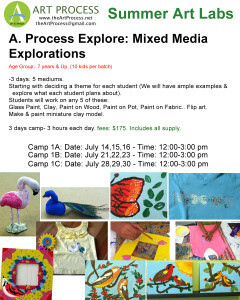 Creative Mixed media Summer Labs. 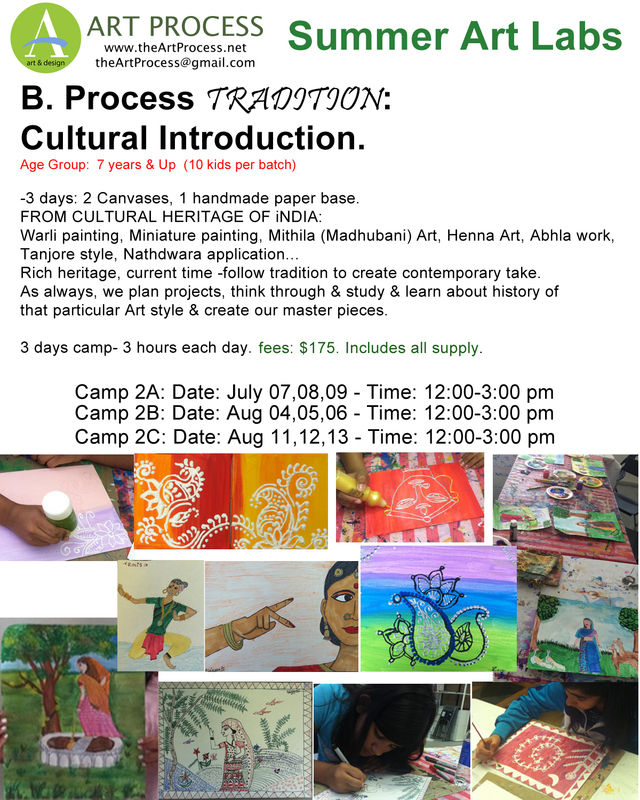 3 hours- 4days of Art Afternoons in Studio environment. 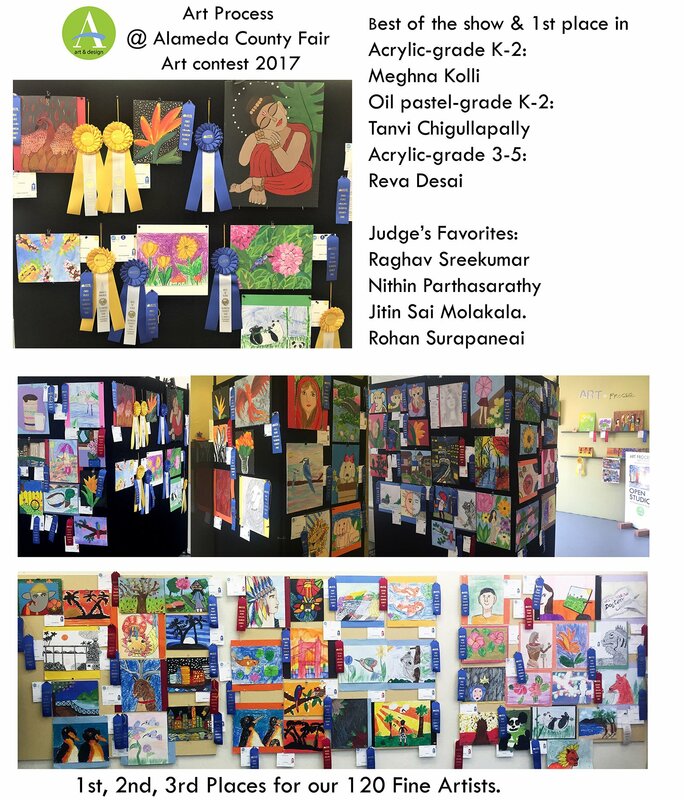 Best feedback we always get is How kids keep on creating what they learned in the camp. 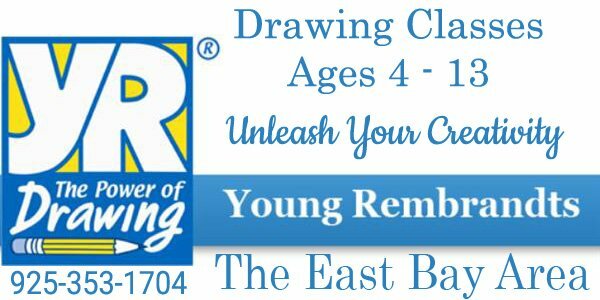 Taught by Professional Artist & Architect. 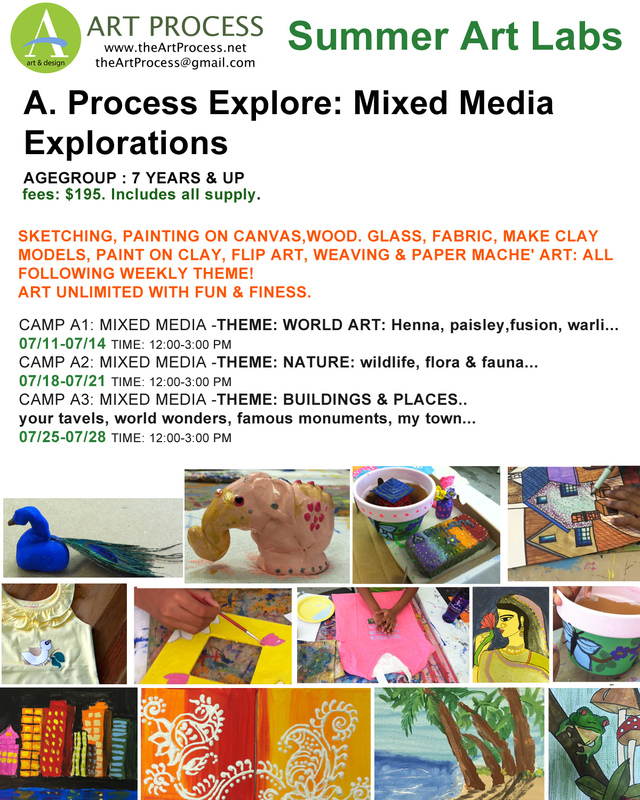 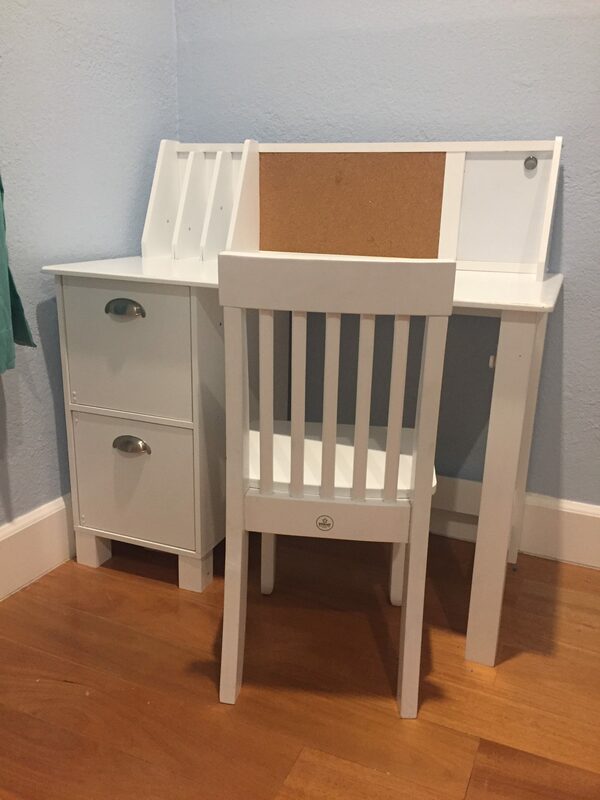 A practical, ‘design school’ Art experience for kids 7 years and up. 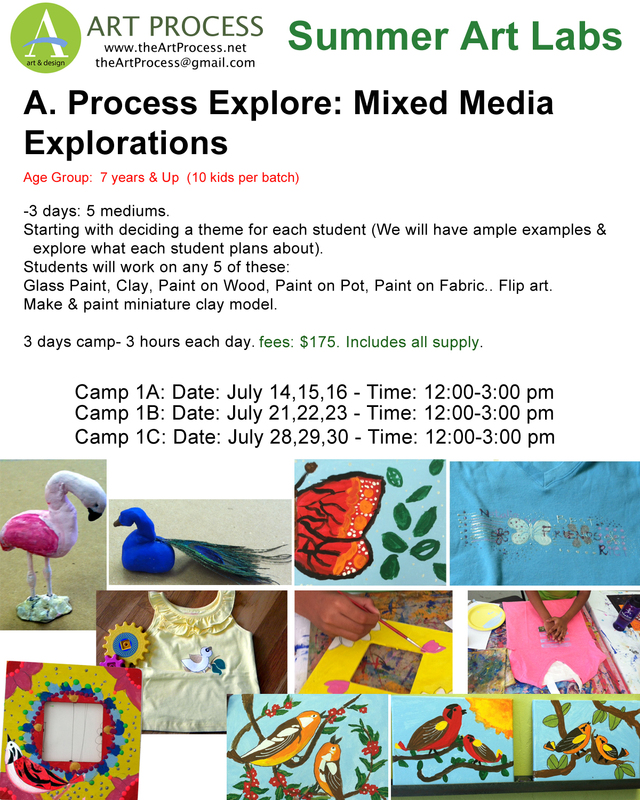 Looking For ArtSy explorations in summer? 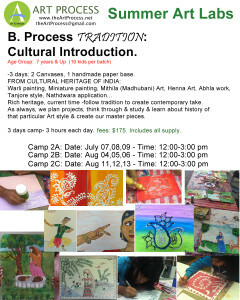 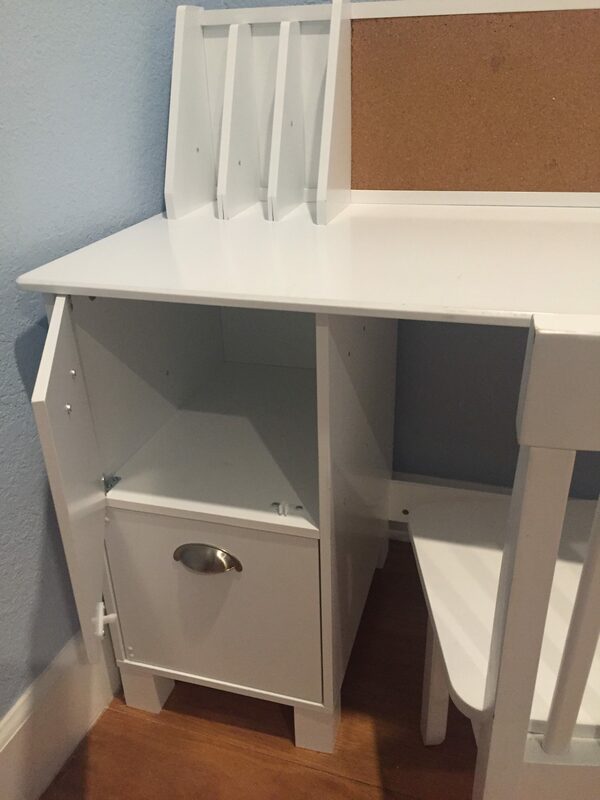 Art Process is offering 3days-9 hours Art labs. 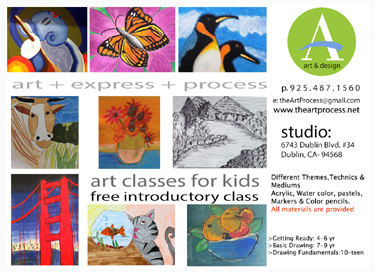 Art in studio, Taught by Artist & Architectural Designer. A structured process, and enriching Art exploration. 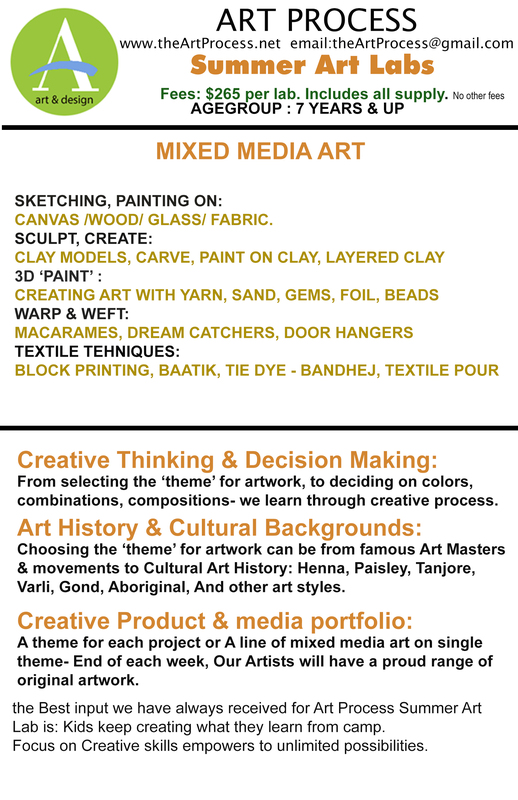 Please visit our website & contact our studio.